How Much Value Does an Ensuite Add to Your Home? When renovating the home, it is important to consider how a change will be of benefit to you, the homeowner. Will you see a return on your investment in the long term or short term? Will you be using the new addition or renovated space on a regular basis? By asking yourself these questions, you can determine if the project you have planned is worth it. Take for instance an ensuite. Having an ensuite bathroom in your master bedroom is a major convenience. Perhaps your home does not have an ensuite or you want to enhance what you already have. This is actually one of the best projects you can complete in the home as it can provide great value from the very start. A quality ensuite will enhance the resale value as soon as the project is finished. This means your investment will pay off from the very beginning, rather than having to wait years to see a return if you decide to sell. With many other home improvement projects, such as adding flooring, there is no instant value other than the aesthetics of the space. However, with the addition of an ensuite bathroom to your master bedroom, you get to enjoy the immediate benefit of the project. Additionally, if, or when, you do decide to sell your home you may find that more potential buyers are interested in the home because of the extra private bathroom it has to offer. 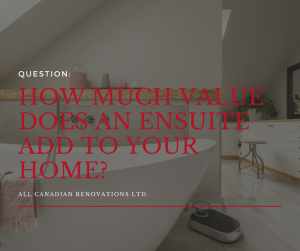 After the addition of an ensuite bathroom, many homeowners see a good portion of the cost of the project returned in the resale value of the house. 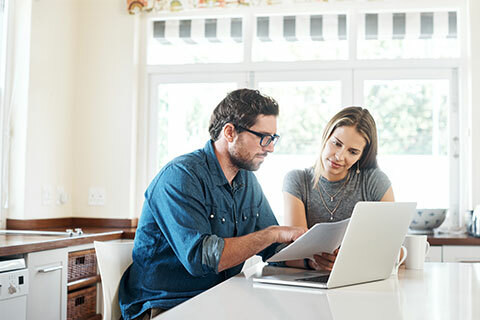 Keeping in mind this is all dependent on a variety of factors like the time of year the house sold, the area of Winnipeg the house is in, and the buying market at the time. Speak to your realtor for more information about buying or selling houses in Winnipeg. In homes built in the 1970s and 1980s, an ensuite was not as common as they are today. If an ensuite did exist, it was a small powder room and not what homeowners today wish to have. A popular renovation of older homes is to expand the smaller bathroom into a large, full ensuite. For a larger home with an existing ensuite, common renovations include adding luxury fixtures and newer appliances such as a steam shower. Homeowners today want jetted tubs, saunas and more. There are ways to renovate an existing home to add an ensuite, by either taking space from another room, adding on or renovating an existing ensuite. Going ahead with such projects will add instant value to your home, helping to ease the cost of renovations. 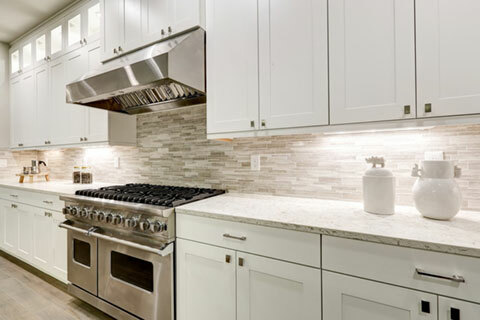 All Canadian Renovations Ltd are experts at renovating and upgrading older houses; they have brought numerous Winnipeg character homes into the 21st century. Contact us to plan an ensuite project that will work best for your home, providing value and benefit to you and your family.